As the leading contractor in the construction plumbing industry, Epic Plumbing continues to grow and we have open positions for technicians and helpers in all phases of residential construction including rough in, top out, and trim installation. Welcome to Epic Plumbing . 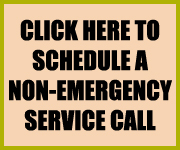 If you have a plumbing emergency, please give us a call at 480-834-1466. Within minutes of receiving your call, we will dispatch a trained and experienced plumber to your location.We are available twenty-four hours a day, seven days a week, and there is no emergency too big or too small. If your questions or concerns are not time-sensitive, please feel free to browse through our Web site to learn more about who we are and what we do. We have done our best to create an informational resource that will assist our current customers and those considering utilizing our services. At Epic Plumbing, we pride ourselves on our strict attention to detail and commitment to customer service - these qualities are how we have established such a loyal and appreciative customer-base in and around the greater Phoenix metro area.